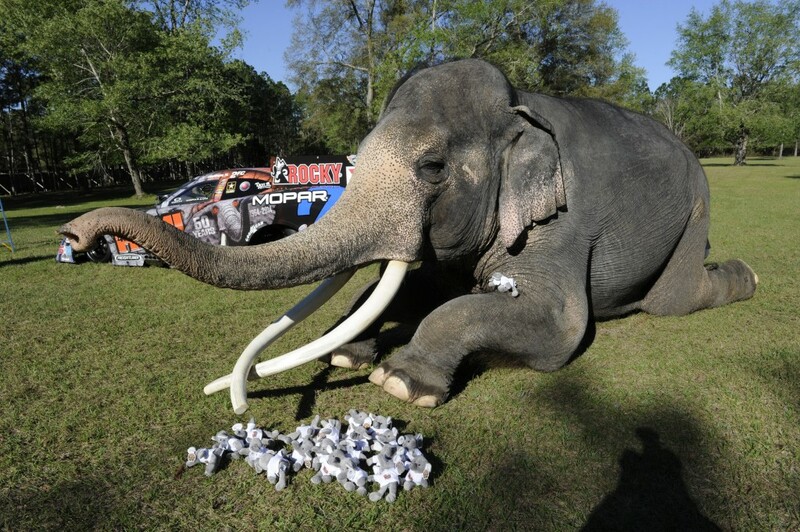 Mopar is marking the 50th anniversary of the 426 HEMI racing engine with a photo shoot with Pro Stock drivers Jeg Coughlin Jr., Allen Johnson, the new Dodge Dart, and an elephant. For year, the nickname for the 426 HEMI has been “The Elephant.” It was given this nickname for three reasons. First, it is a large engine. At the time the 426 HEMI was first produced, it was the largest racing engine available and could only be used in bigger vehicles. Second, it is a powerful engine. At the 1964 Daytona 500, these engines were producing around 750 horsepower, and Jeg Coughlin Jr. and Allen Johnson’s NHRA Pro Stock cars can get approximately 1,500 horsepower. Third, the 426 HEMI is a hefty engine, weighing up to 700 pounds. It didn’t earn the nickname of “The Elephant” for being dainty. 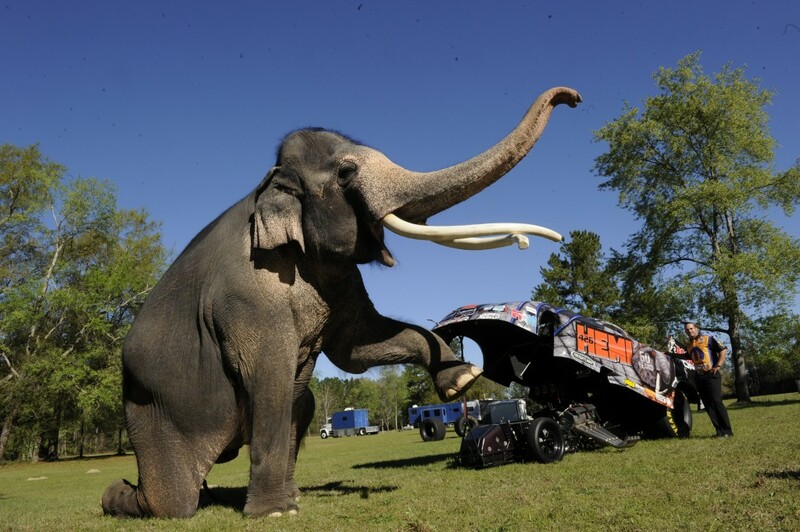 For the photo shoot, Mopar went to Two Tails Ranch, a safe haven for a variety of animals including four Asian elephants. An elephant named Luke was selected for the photo shoot and gave the photographer plenty of great poses.